Our technicians will provide you with responsive quality services each and every time you need us! Need the best air conditioner repair in town? Call Advanced Comfort Solutions today! Serving Eastern Wyoming and Northern Colorado since 2011, Advanced Comfort Solutions are the local experts when it comes to heating and cooling services. Because we care about your year-round comfort, we offer a full menu of AC and furnace service options. Winters in our corner of the country are extremely cold. We never want you or your loved ones to suffer, so we offer 24/7 emergency furnace repair service. You never have to worry about what to do if your furnace breaks on a freezing night. Our technicians will happily come out to figure out the problem and fix it right away! If we can’t fix your heating unit, we can help you find a high-quality furnace replacement from top brands like Lennox. Our technicians are trained to be the most professional furnace installers in the industry. We are firm believers in furnace maintenance and recommend that all of our customers schedule regular annual maintenance appointments. A regular tune-up schedule will extend the life of your furnace system and save you money on future repairs! We never want our customers to suffer a stuffy summer night without a fully blasting air conditioner. Don’t hesitate to call us when you need trustworthy AC services any time of the day! 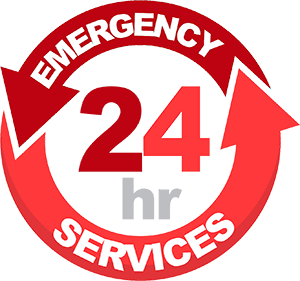 We offer 24-hour emergency services so you never have to suffer when your AC system breaks. And if your AC unit breaks beyond repair, we offer high-quality brand name products like Lennox, Navien and Mitsubishi. We’ll even come out and take care of routine maintenance to keep your air conditioner running smooth and worry free. No matter what you need to keep your home warm, cool and energy-efficient throughout the year, we are here for you. We proudly offer the most innovative and dependable products and services including indoor air quality testing, ductless mini-splits, air filtration systems, tankless water heaters, and more! Call us today at (307) 223-4647 for any type of home comfort project. Advanced Comfort Solutions is the Cheyenne heating and cooling company you can trust! © 2019 Advanced Comfort Solutions.